Prime Minister Imran Khan visited Turkey just a week after the Pakistani Supreme Court has designated the Turkish FETO as a terrorist group and handed over schools that were associated with the Turkish cleric Fethullah Gulen to Turkey’s Maarif foundation, a move that ‘pleased’ President Erdogan. The Turkish government accused the Pennsylvania based cleric Gulen for masterminding the attempted coup against President Erdogan in the summer of 2016. As the two countries enjoy a strategic partnership that dates back to the days of the Cold War by being members of the Central Treaty Organization (CENTO) alliance, relations between Islamabad and Ankara had gained momentum in recent years, while their trading relationship has grown up to $600 million in 2016 according to official statistics from the Turkish government. As Turkey’s defense industry lacks Middle Eastern customers, Pakistan became a new and significant purchaser of Turkish military products including four corvettes for the Pakistani navy and 30 Turkish helicopters, the largest sales from the Turkish military-industrial complex according to then Turkey’s defense minister Nurettin Canikli. However, beyond defense contracts, ongoing negotiations on reaching a new bilateral free trade agreement, which was aimed to boost bilateral trade between Ankara and Islamabad to $10 billion in three years time has not yet materialized, although both countries announced in 2017 that talks were finalized. The main reasons that this free trade agreement was not finalized were due to Ankara’s anti-dumping duties on Pakistani products and Pakistan’s trade deficit with Turkey. Although both Erdogan and Khan reiterated the importance of the bilateral relations between the two countries, new bilateral agreements were not announced that could strengthen their ties. Khan’s trip to Turkey could be understood in two different ways. First, as Pakistan’s relations with the US further deteriorated under President Trump due to Washington’s strategy in South Asia, which expresses a concern regarding Islamabad’s close ties with the Afghan Taliban and the Haqqani network, Prime Minister Khan is trying to improve relations with other countries (i.e. China, Turkey, Saudi Arabia, etc.) in an attempt to avoid isolation. As relations between Pakistan and Saudi Arabia cooled down after Islamabad rejected Riyadh’s invitation to join its coalition in Yemen against the Iranian backed Houthis, Khan visited Riyadh as his first trip abroad to the Kingdom in order to warm up the ties between the two strategic partners. As the US new policy was not welcome in Islamabad, on the other hand, Pakistani officials including Prime Minister Khan argue that Islamabad was ‘fighting Washington’s war’ in Afghanistan and lost many lives during the nearly two decades of war in its neighbor, Afghanistan, describing his country as a ‘hired gun’. Before he was elected as the head of government, the former cricketer turned politician had expressed critical views to the US policy towards Pakistan and Afghanistan. Therefore, as US-Pakistan relations deteriorate, Khan is attempting to improve relations with other regional powers and deepen the strategic partnership between Pakistan and China. Second, as South Asia and the Middle East are facing a new era of geopolitical shifts and the rise of new regional powers that are competing for influence, Pakistan is trying to diversify its foreign policy in order to avoid becoming aligned with one party over the other. Pakistan’s decision to avoid entering the war in Yemen by supporting its strategic ally, Saudi Arabia was a clear example of Islamabad’s new geostrategic view in the region. This new view embraces the traditional partnership that Pakistan had with both Turkey and Saudi Arabia, improving its ties with its neighbor, Iran and engaging closely with the rising Sheikhdoms in the Persian Gulf (Qatar and the UAE). Crown Prince Mohammed Bin Salman is due to visit Pakistan, as his Emirati counterpart Mohammed Bin Zayed also recently held discussions with Prime Minister Khan in Islamabad. Other bilateral areas that were discussed during Erdogan’s meeting with Khan included the peace process in Afghanistan, where the Taliban is now engaged in high-level talks to end the war in the country with diplomats from the US, led by Zalmay Khalilzad. Although Turkey has sent troops to Afghanistan as part of the US-led Resolute Support Mission (RSM), it is not an important player in the conflict, due to its limited influence to the warring factions. 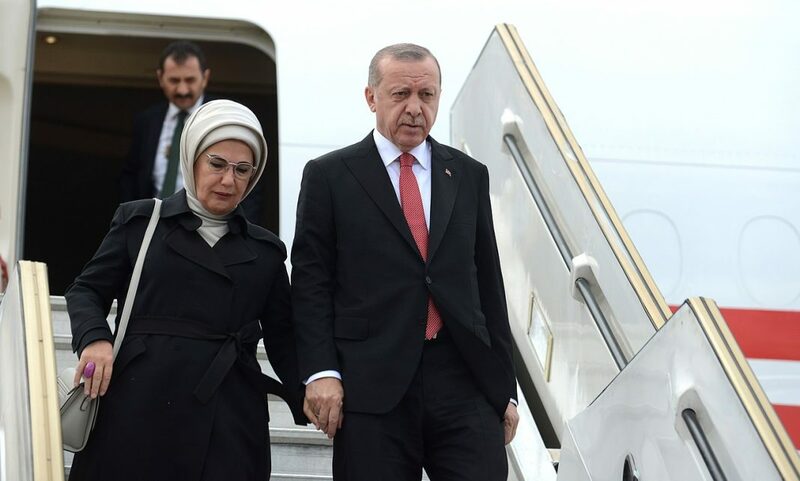 However, President Erdogan offered a new tripartite summit between Afghanistan, Pakistan and Turkey, after the upcoming Turkish local elections in March, emphasizing that there is ‘no military solution’ to the Afghan conflict, a position that is shared by Prime Minister Khan. A previous attempt by the Turkish government to offer a peace dialogue between the government and the Taliban did not turn to be successful due to Ankara’s failure to bring the Taliban onto the table. As part of its efforts to expand its influence, Turkey is seeking to play a role in the peace process by leveraging its strong relations with both Pakistan and Afghanistan and the lack of favorites in the local conflicts in South Asia. However, it is important to note that as several uncoordinated peace talks are currently going on to resolve the Afghan conflict, it seems highly unlikely that Turkey’s new offer will yield new results that support the cause for peace in Afghanistan due to its lack of strategic influence to the warring parties. But Ankara’s role could be useful to mend ties between Afghanistan and Pakistan as Kabul is concerned about the Pakistani military establishment’s close ties with the Taliban as part of a ‘strategic depth’ against its arch-rival in South Asia, India. As relations between Turkey and Pakistan continue to improve in different domains, Islamabad will try to avoid being part of the geopolitical rivalry between Turkey and others including Saudi Arabia, Qatar, and the UAE by trying to delicately balance its relations with these players to maximize its economic benefit. But its economic woes will limit the extent that Pakistan is trying to balance these different regional powers. This delicate balancing policy and its diplomatic outreach to different capitals to make itself relevant in the regional scene could be tested in the coming years as the rivalry will intensify furthermore. 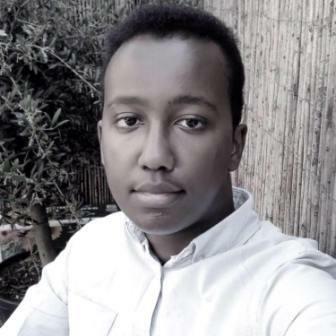 Yacqub Ismail is an editor and a regular contributor of International Policy Digest and a political analyst. His work has appeared in The Geopolitics, Foreign Policy News, Gulf State Analytics, Rising Powers Project, and Russian Council of International Affairs.